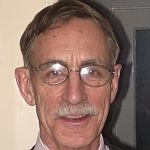 (HOST) Commentator Bill Mares is a writer, former teacher and legislator. He has co-authored two books on desert travel in Saudi Arabia, and he’s been reflecting on President Obama’s speech to the Muslim world last week. (MARES) I majored in Middle East history in college. Admittedly, that was fifty years ago, but unfortunately, while much has changed in the ensuing years, much has remained the same. My most influential teacher was Prof. William Polk whose book titled BACKDROP TO TRAGEDY looked at the origins of Israeli-Palestine conflict from three perspectives: that of a Palestinian Arab, an Israeli Jew – and his own. He taught our small seminar that in a region where politics could be summed up as GOD, BLOOD AND OIL, we should always suspect absolutes and easy truths. I thought of this as I listened to President Obama’s intelligent, subtle and stirring speech at Cairo University last week. The mind boggles at the various audiences he was addressing: university students of course, Arab moderates, Arab radicals, Iranians, Iraqis, Sunnis, Shia, Afghans, Turks, Syrians, the Taliban, Jews in Israel, Jews outside of Israel, Muslims in the U.S. and the rest of us by-standers. His tone was knowledgeable without being pedantic, humble without being obsequious. Without arrogance or apology, he spoke in a forthright manner of our values. "Freedom in America," he said, "is indivisible from the freedom to practice one’s religion." He talked comfortably about religion without self-righteousness or embarrassment. And he didn’t pander to a domestic hard-line religious constituency. In a region where words are parsed like Biblical text, Obama was unafraid to use terms like "colonialism" and "occupation." Cleverly, his "enemies" list was narrowly focused upon Al-Queda, thus avoiding the stereo-typical confluence of Muslim and terrorism. Indeed, the words "terror" and "terrorist" were totally absent from his 55-minute speech. He said that American support of Israel was unbreakable, but that "The position of the Palestinian people is intolerable. Americans will not turn our backs on the legitimate Palestinian aspirations for dignity, opportunity, and a state of their own." He told the Israelis to STOP slicing and dicing the West Bank into settlements which make a two-state solution impossible. Obama also understands the fundamental struggle within Islam to find a balance between the secular and the religious, to explore the reach of so-called "political Islam" and to determine whether there can be a viable separation of mosque and state. My only quibble is that he didn’t get to the oil part and how our country’s dependence on Middle East oil has made us into hypocrites, sometimes supporting dictatorial regimes who govern against our ideals, because we want the oil. But maybe that’s a subject for a future speech. In the meantime, I agree with former diplomat Charles Freeman who called this new formulation of American Middle East policy, "the mother of all re-sets."